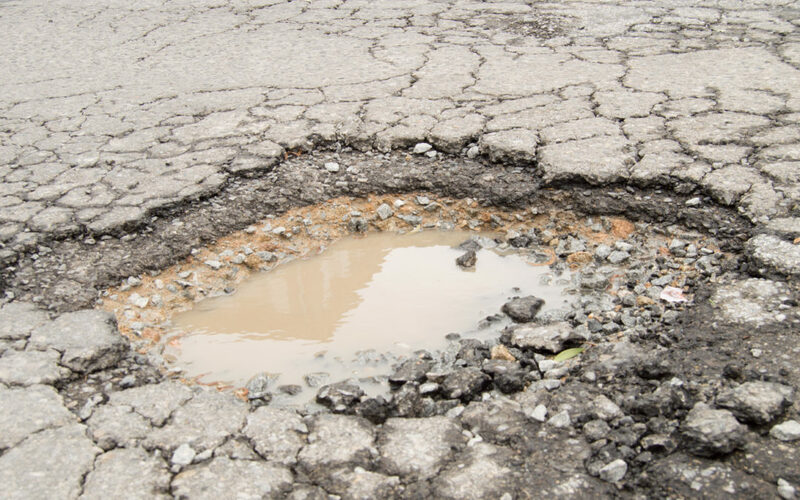 It’s that time of year again, when rain, snow, and changing temperatures cause potholes to form, wreaking havoc on roadways, parking lots, and driveways. According to the American Automobile Association (AAA), pothole damages cost U.S. motorists roughly $3 billion per year. On a per-pothole-incident basis that comes out to about $300 per driver. Additionally, AAA reports two-thirds of U.S. drivers are concerned about potholes on local roadways. No asphalt or concrete surface will last forever, but it is easy to prolong the life of your association’s pavement. Community association managers and boards of directors have several pavement maintenance and repair options from which to choose. Patching is done in areas with severe alligator cracks and/or potholes. When the patch is cut out, the sub-base material should be examined and compacted thoroughly before patching. The patch should be tack coated, to ensure firm bonding between the old and new surfaces. Base course material is laid and compacted first, and new surface asphalt is laid and compacted on top of that. The patch should be rolled to a smooth finish, and all edges should be coated to minimize water penetration. Overlays are placed over existing asphalt to create a new surface. In recent years paving fabric, placed on the existing asphalt prior to the overlay, has gained popularity as an effective agent to bond the new asphalt to the existing asphalt surface. Once the existing asphalt has been prepared, the paving fabric is laid down and a new surface quality asphalt is laid over it. It is then rolled to a smooth finish to match existing grades of asphalt. For more information on repair road and paving, check out The Road Repair Handbook, available for purchase at CAI Press.